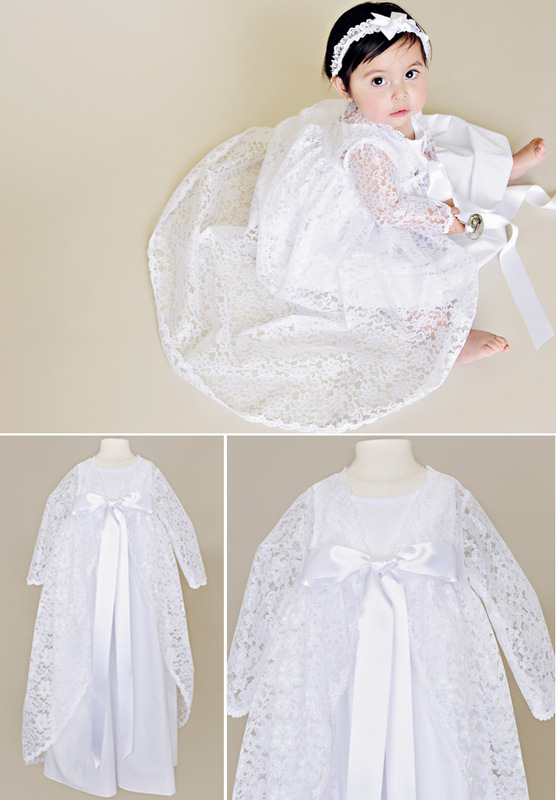 This dainty baptism jacket for girls looks absolutely angelic on any of our heirloom length gowns. In fact, it makes a simple cotton slip look “special event” worthy! The two-inch satin ribbon ties are absolutely divine. Tie them in a pretty bow and “Viola”, baby’s jacket is secure. The pretty print of the lace is a floral bliss. For the finishing touch, scalloped lace graces the jacket edge. Use this jacket to add extra elegance to her Sunday dress. Drape it atop her special gown for a wedding party. Tie it over a simple dress to make it photo ready. This jacket has so many uses, and it will bring out the princess in your little every time. The best part is, the heirloom quality will make it a great piece to pass on to another generation. We could not be more excited today as we invite you to our Boutique Grand Opening on February 14, 2015. We will now be offering our amazing customers the ability to see, touch, and feel each and every one of our handmade designs. You’ll see firsthand the detail that goes into each piece and find the one that speaks to you for your child’s special day. This has been a long time coming and we are so happy with what we can now offer our customers. Our Christening, Blessing, and Baptism gowns and suits are exceptionally made and of heirloom quality. We also offer spring dresses, and personalized baby gifts. Whether it’s an LDS baptism gown, or Communion gown we also offer girls styles sizes 4-14, on select styles. Our designs are completely unique and will only be found in our shop. We are excited to open this store in our hometown and have our community enjoy our beautiful items. We are thrilled to also be featuring Lily’s Closet in our boutique, a local vendor with beautiful trendy styles for girls. We will also be carrying items from Aden and Anais, Car Seat Canopy, Finn and Emma, and others. So come and enjoy our opening day where we will be offering a discount of 20 % off on all One Small Child regular priced items! 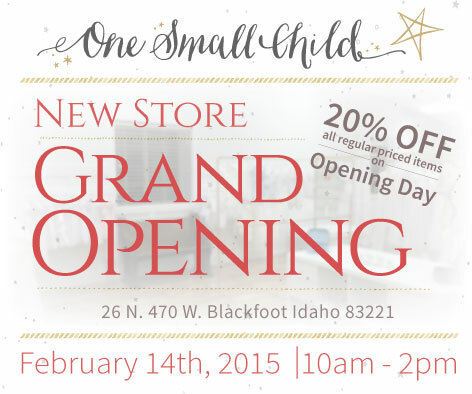 To join us for our opening day February 14th, visit us at 26 North 470 West, Blackfoot, ID 83221, from 10:00 am – 2:00 pm. Future hours for our boutique will be Wednesday evenings from 4:00-7:00 pm and Saturdays from 10:00-2:00 pm. If you have any questions, please email us at [email protected] We hope to see you there! Make sure to follow our Instagram and Facebook to see all that will be happening at the big reveal!